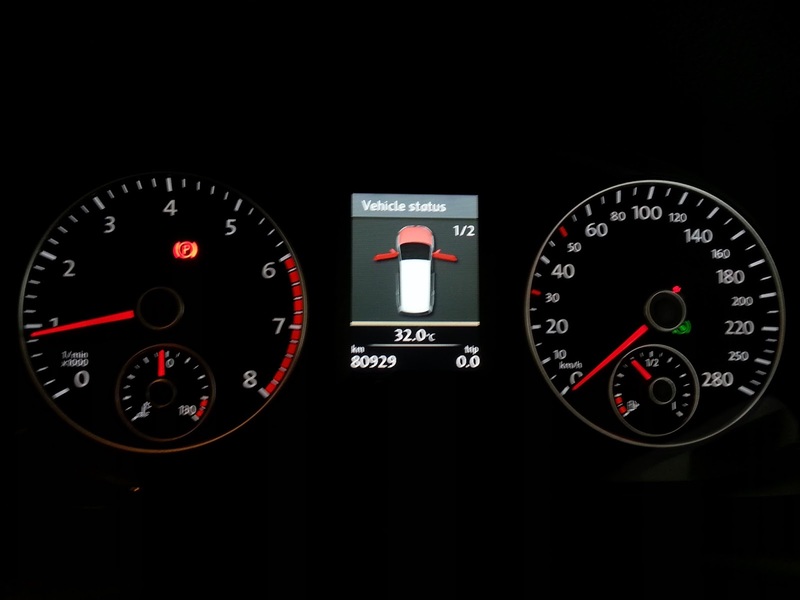 This B7 Cluster is so boring ! Black/White is like really bad for the eyes ! Need some eye candy to please the eye ! Upgrade to the 3D cluster with blue pointers. 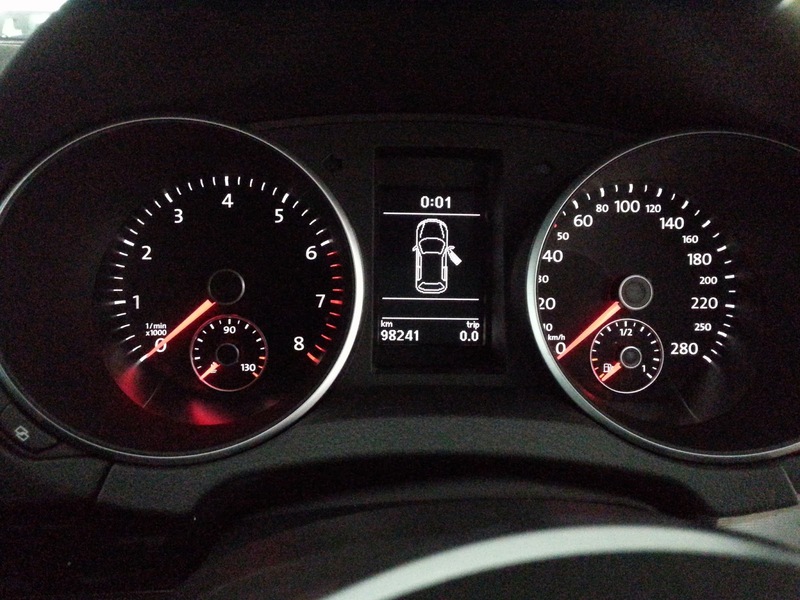 Speed limit also increased from 260 to 280 kph. At the same time... a R-Steering with red thread adds to the pleasure. 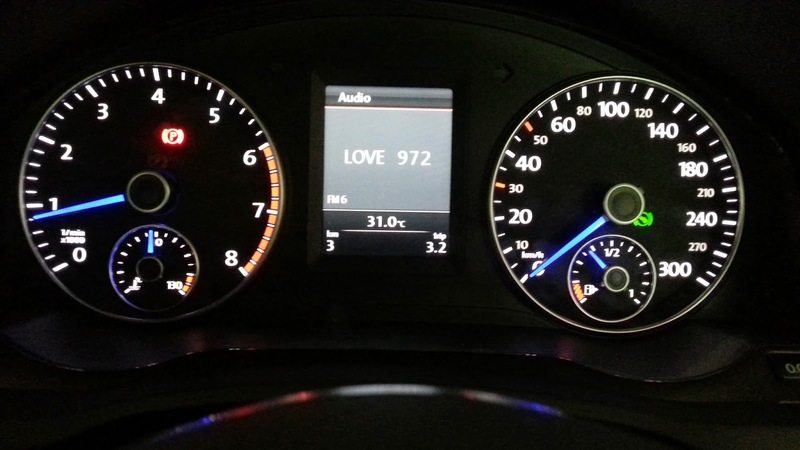 A customer with a 2010 Golf Mark 6 since new, have decided to jazz up his ride. 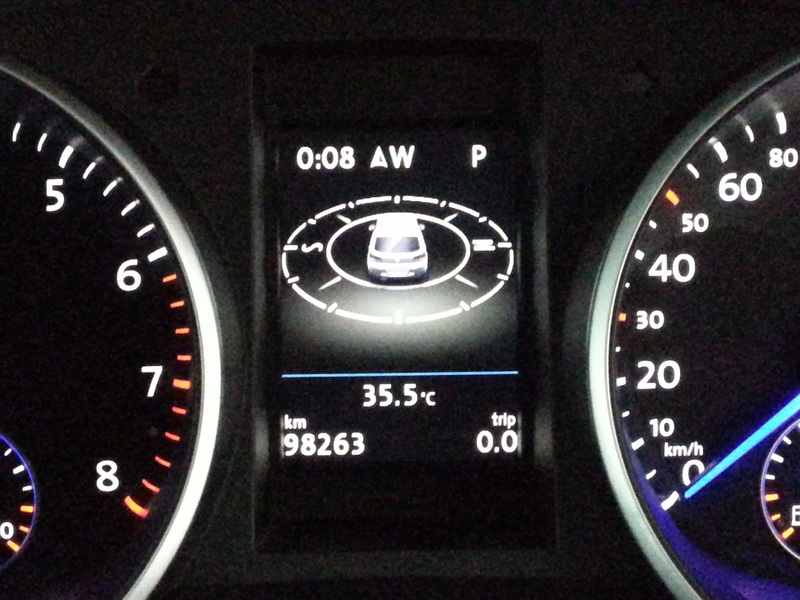 Too expensive to look at the Golf 7. 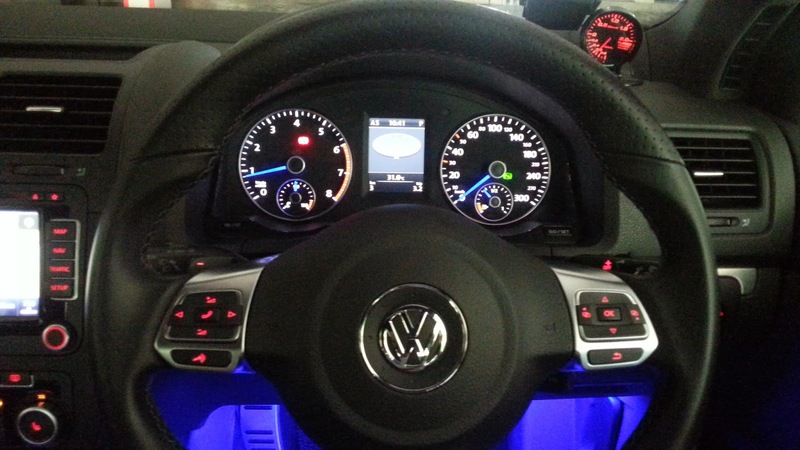 To boost up the interior, he went for the latest 3D colour graphic cluster original from Volkswagen. Opted for the Golf R Blue Pointers ! 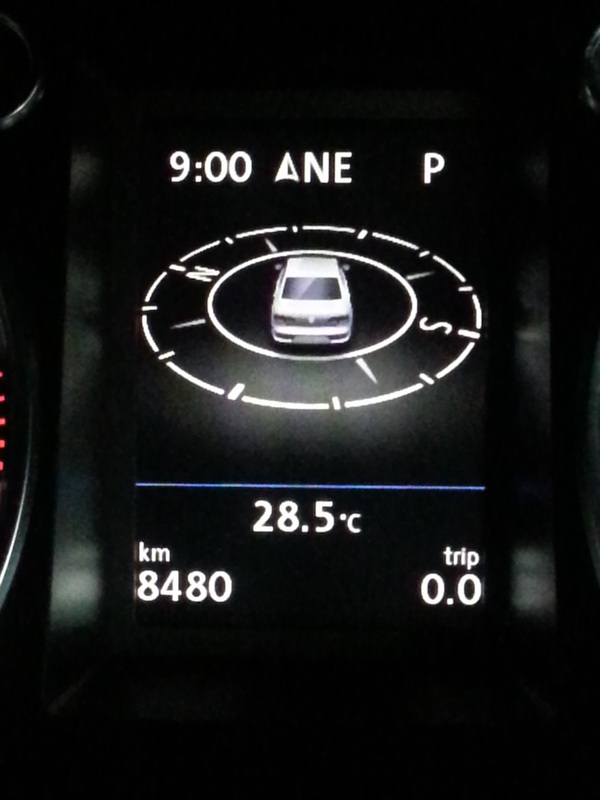 First in Singapore with this 3D Graphics Cluster which similar to the new Golf 7 GTI cluster ! After removal of the cluster....a deep black hole ! 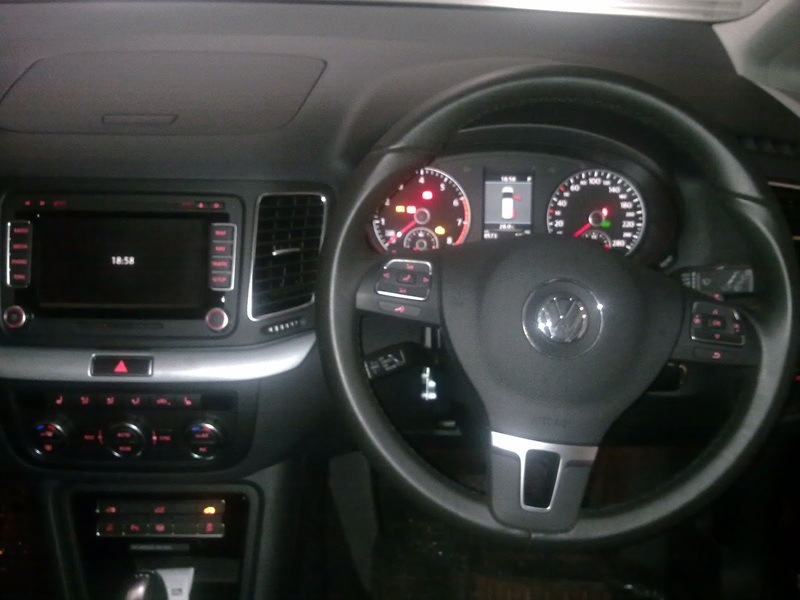 We upgraded this Jetta Mk5 1.6 Auto which did not come with Multi Function Steering Wheel, Pedal Shifters or Highline Cluster. 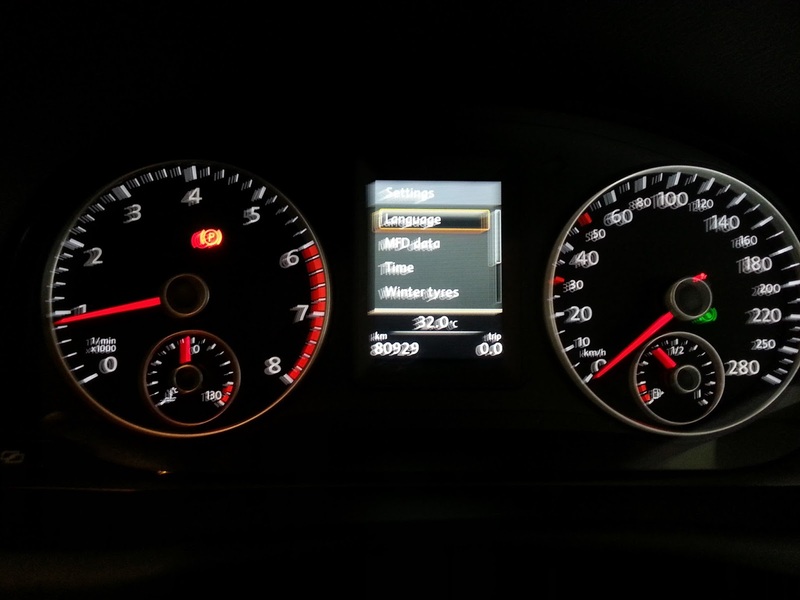 Changed his steering module and used a ex-Jetta 6 MFSW plus a new Black White MFD Cluster ! 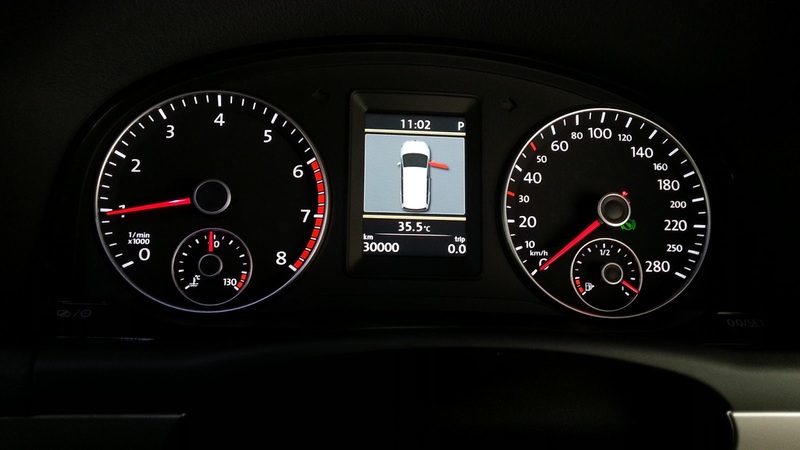 A happy customer just pumped some juice into his old 2007 Jetta ! 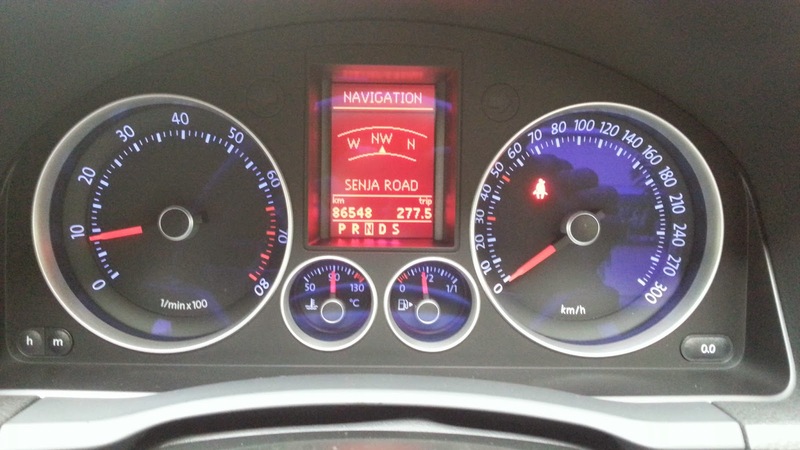 We upgraded this Malaysian Sharan with a premium colour cluster to enhance the drive feel and sight ! A million dollar sight ! 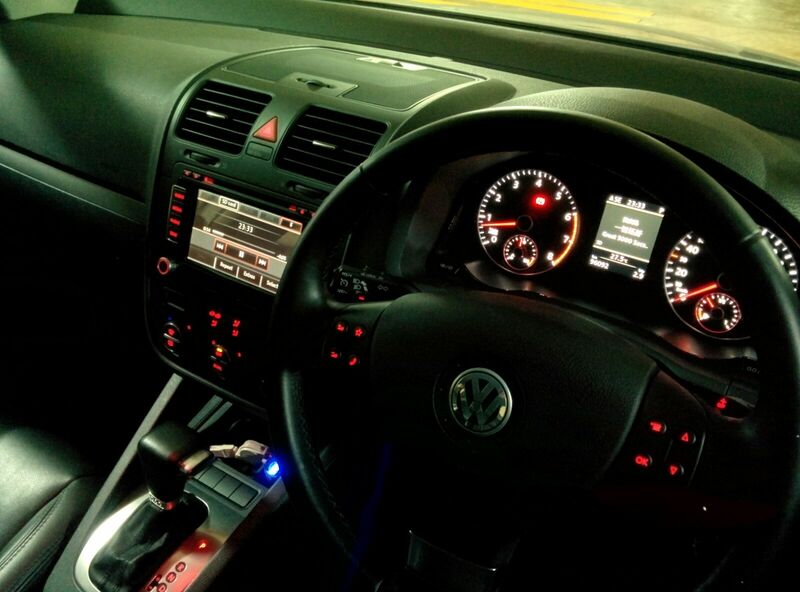 We upgraded a Mark 5 Jetta RED cluster with the Premium Colour Cluster ! 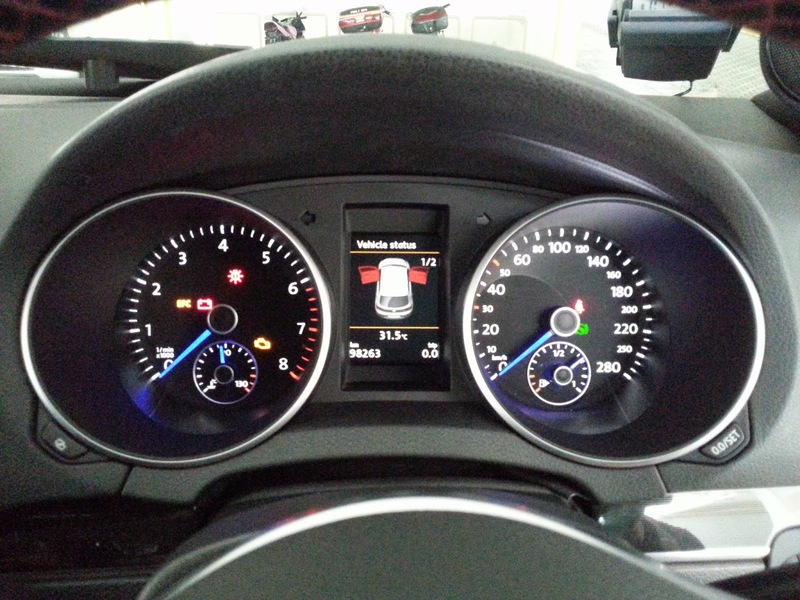 The original 8 button steering wheel have been retained. Function remains the same as original. Compared to the RED cluster, this premium cluster have the additional function of back lighting ! A very happy Dave ! Starting up the car ! What a differences ! 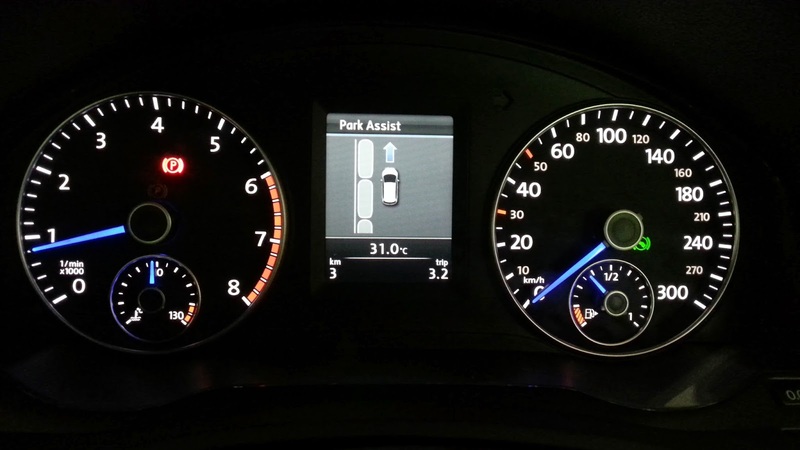 Replacing the cluster requires removing the entire middle/right aircon vent housing together with the instrument cluster hood. 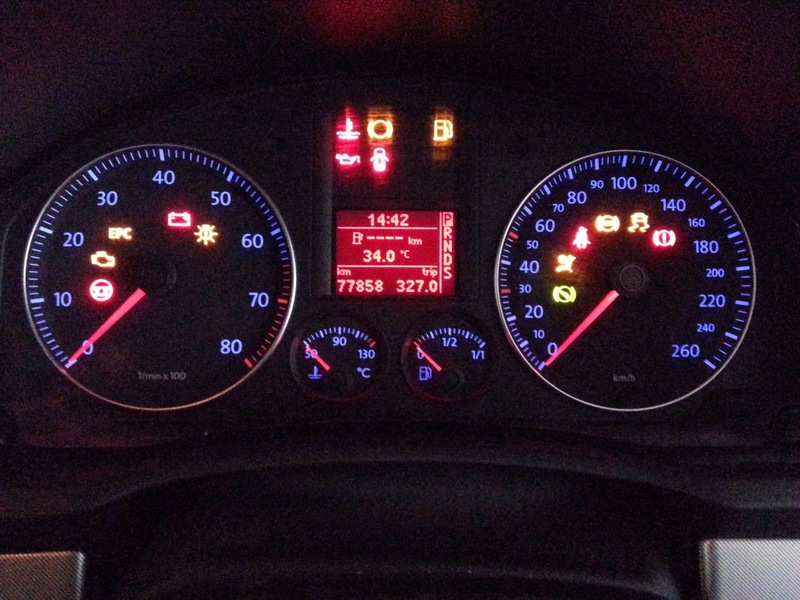 Fitting the colour MFD cluster into a basic Jetta would require the steering module replaced. 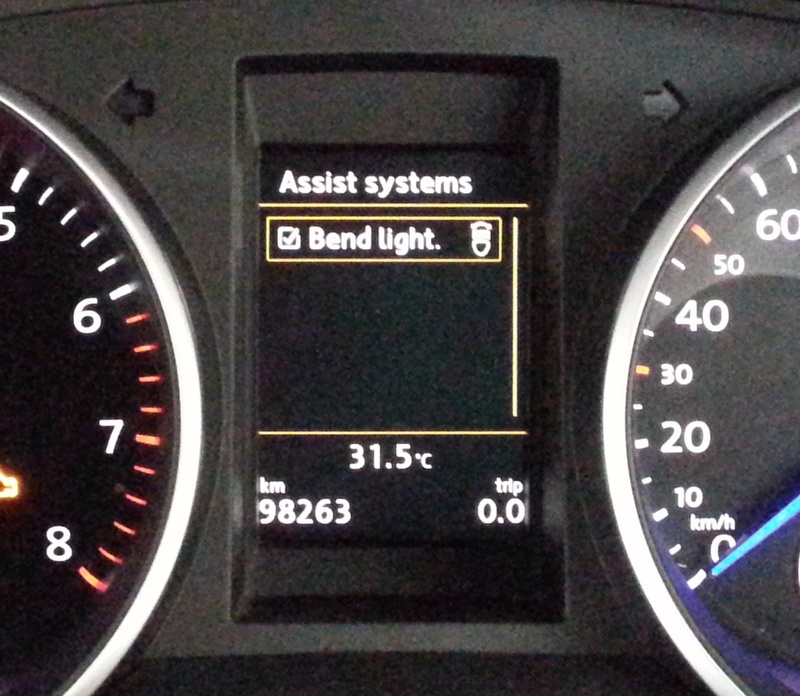 Adding in the Cruise Control is a nice feature for the base model upgrade ! End of the day, the new Golf R steering works perfectly controlling the display of Navigation, Media, Driver Information, Telephone ! 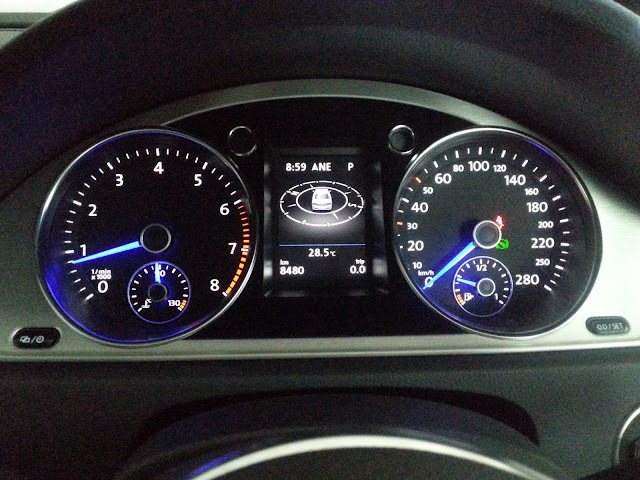 Best of all, owner gets to change the setting via his new steering wheel options that he never had before.....central locking option choices, anti-theft locking/unlocking confirmation via horn, DRL on/off, comfort signal, etc. Oh...now he know which door is open and which is closed ! LOL ! A happy customer and Jetta 6 Premium owner ! A customer's to enhance his beloved SUV ! 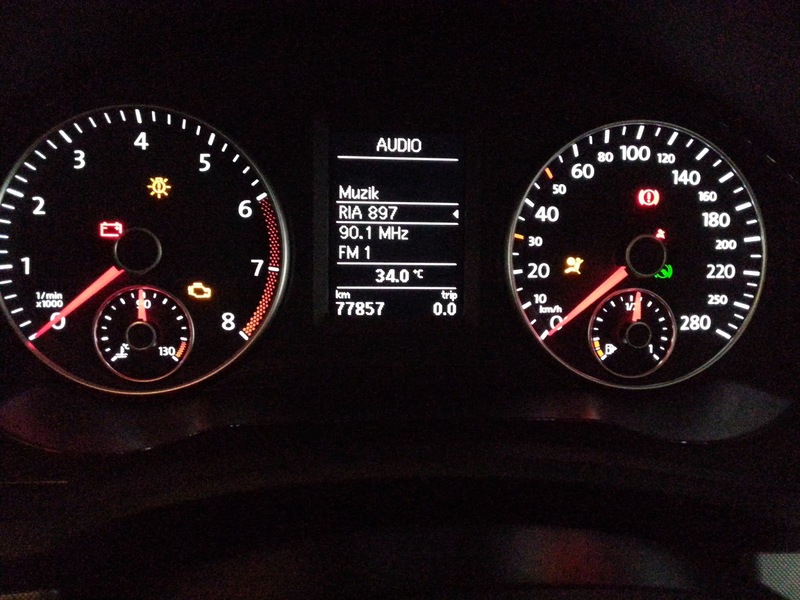 The old cluster is RED and the steering wheel from the old 8 buttons lorry style steering ! 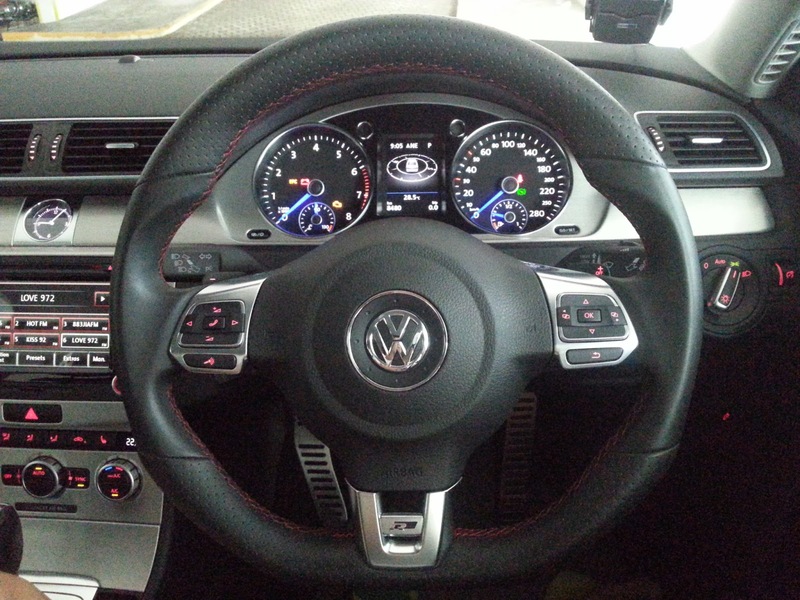 We upgrade the steering with the Golf R steering with Red Thread and Premium Colour Cluster MFD. 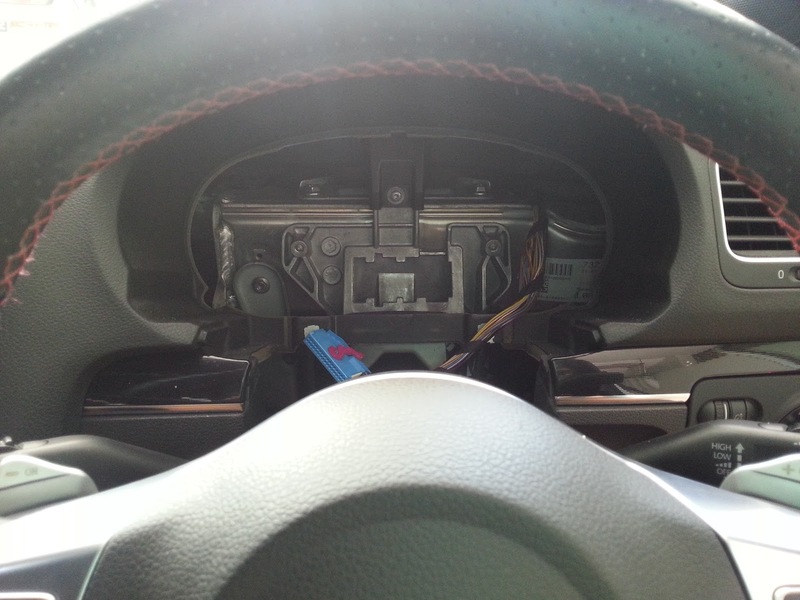 Need to upgrade the steering wheel module to enable all the steering function buttons to work. Now moving between the screen forward or backward is possible unlike the old RED cluster which is only clockwise rotation. 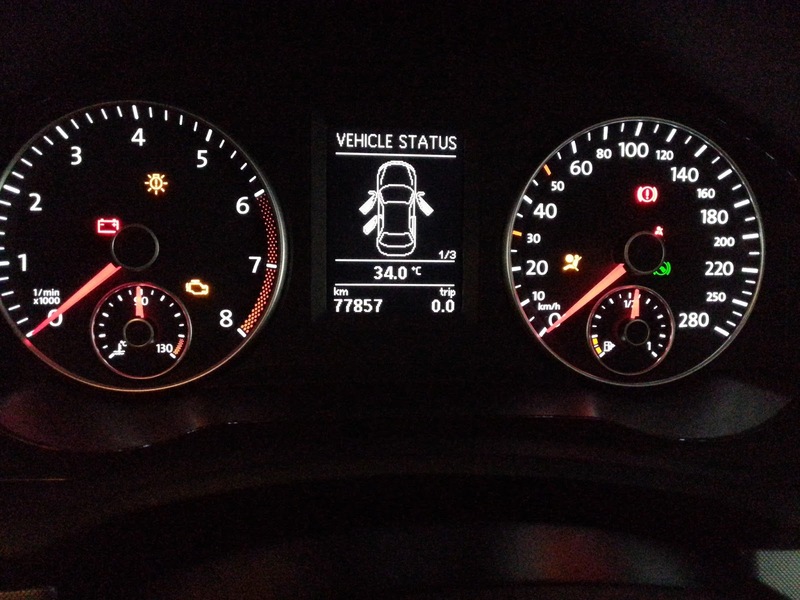 Update RNS510 to link it to the new BAP cluster. 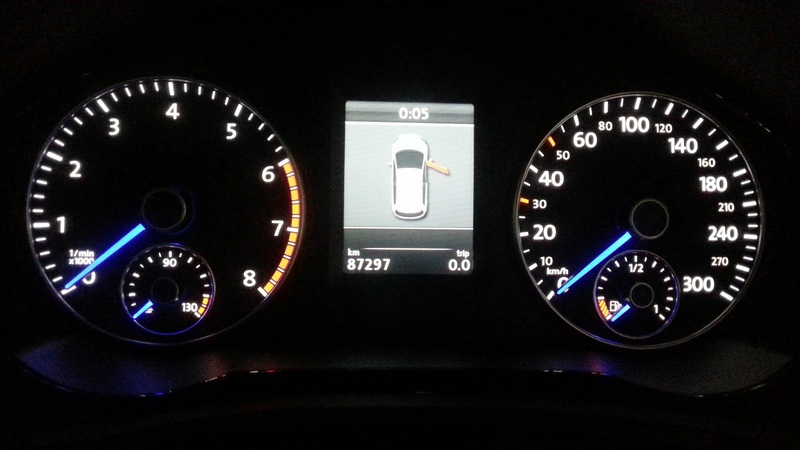 Full Compass view in fabulous blue ! Lovely sight. 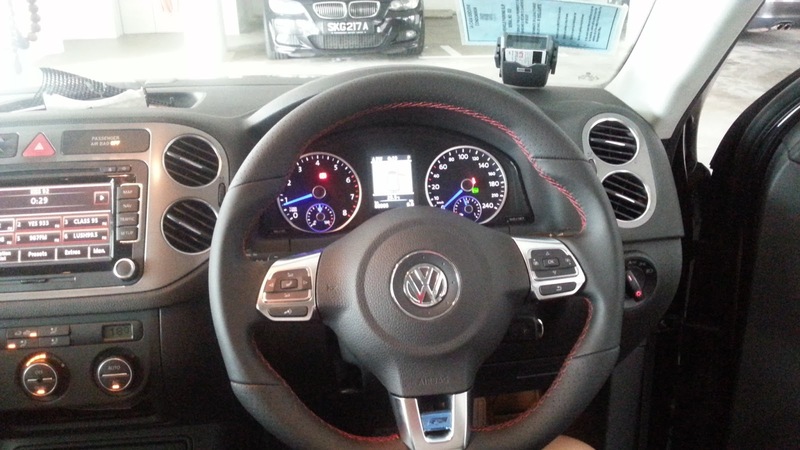 Next upgrade for him....2014 Tiguan DSG shifter with RED thread ? Wonder if it is available. His current 747 jumbo jet landing gear needs to be modified though. Waking up the Cluster ! 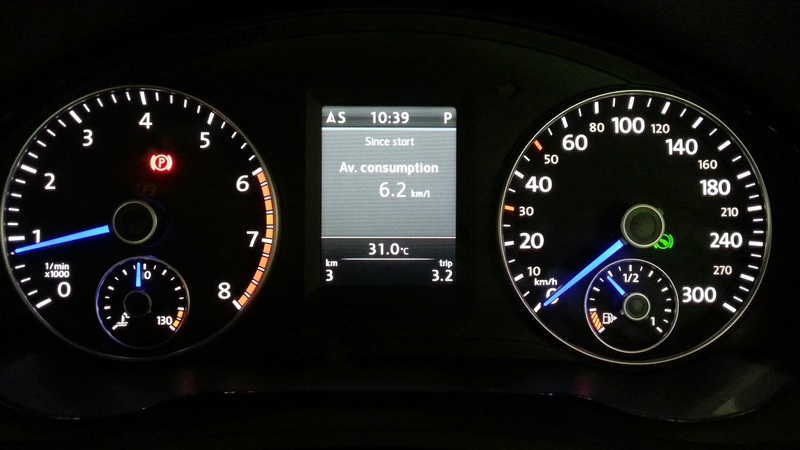 30 April 2014 : Another Touran Upgrade ! 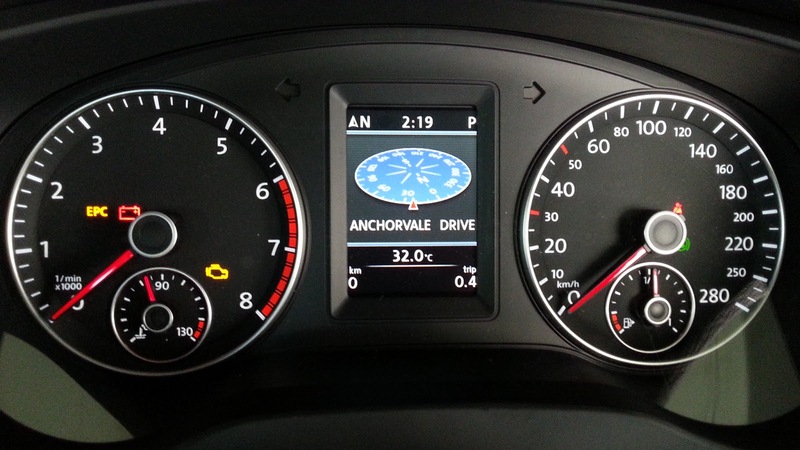 Another Touran uncle upgraded his Comfort Touran with the Colour MFD Cluster. 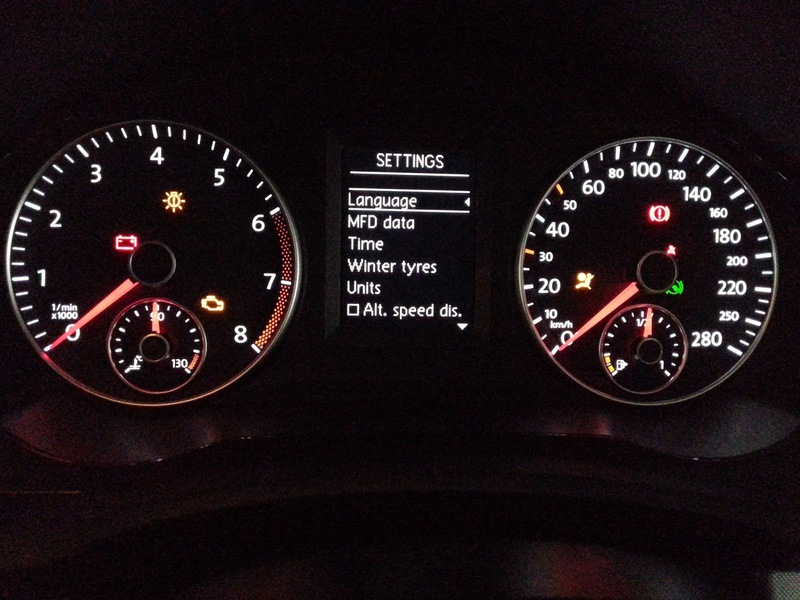 Unfortunately, he had fitted an aftermarket HU. 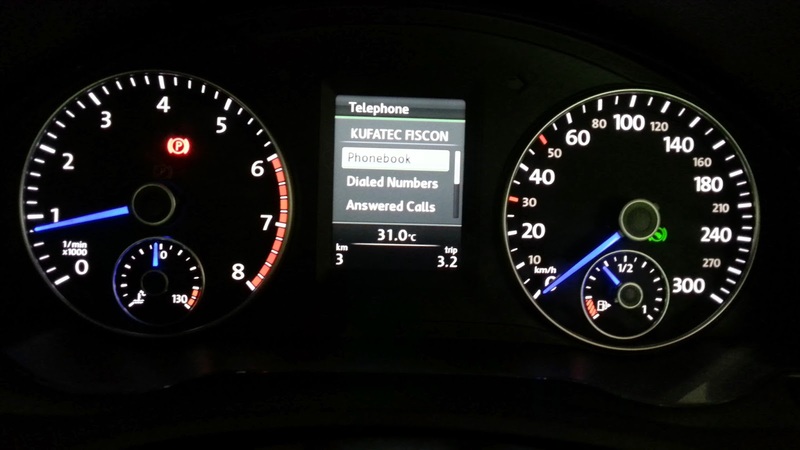 As such, he cannot get to see the Navigation or Radio/Media display on the MFD. 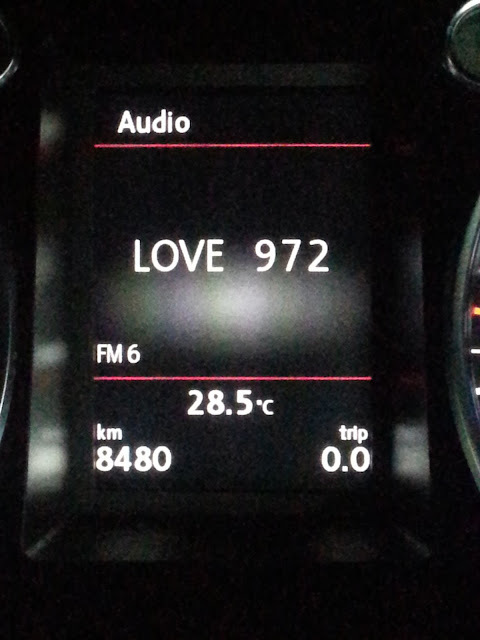 He has the original VW TPMS High retrofitted though ! 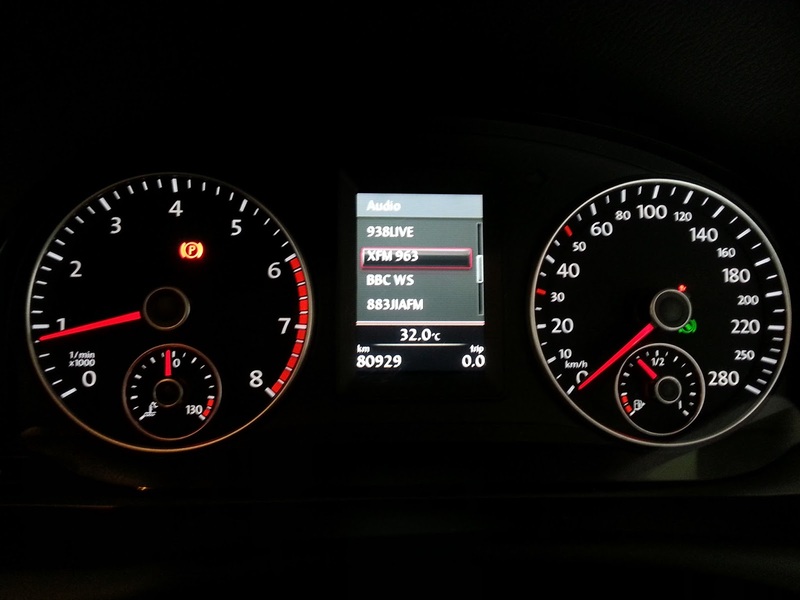 Coding of the Central Electric Module, we enabled the base Touran converted colour MFD Cluster to have the Convenience Menu displayed. 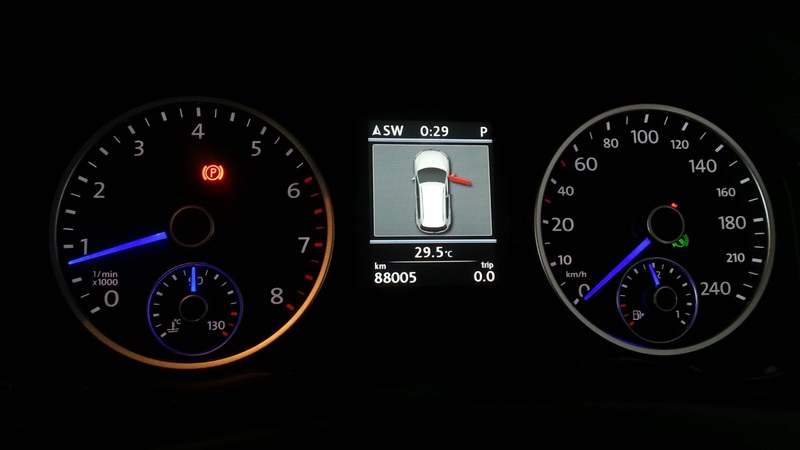 Customer is now able to control the Lights Function, Door Unlocking, Wing Mirror lowering, Window Operation, etc. We converted this Base Touran with a simple On Board Computer White cluster to a colour Multi Function Display (MFD) Instrument Cluster. Previously, the owner could only view the OBC data ( On Board Computer ) on the screen via the control on the wiper stock. 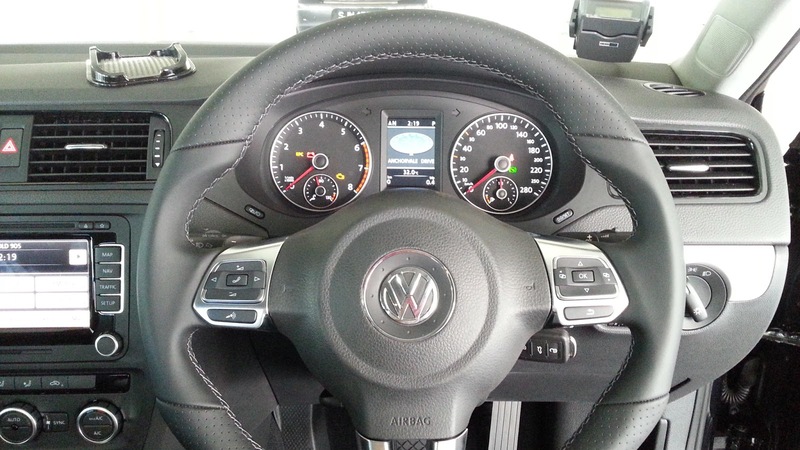 He upgraded the steering module and steering wheel with Multi-Function Control Switches....and he was able to control the radio stations and volume on the left side switches. The right side up/down switches could mover the OBC data up and down but cannot show any other screen because of the simple entry level display. The left/right switches were none functioning. We installed this colour MFD Highline cluster to allow the full viewing of all the display data such as Navigation, On Board computer data, Vehicle Data, Door Open Status, Radio and Media. 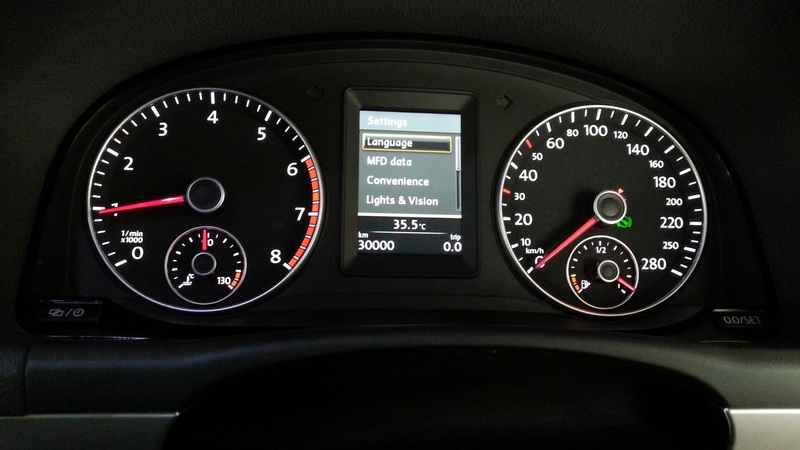 We can also include information such a Bluetooth Telephone, TPMS High display, Driver Fatigue Detection, etc. We could also change the language display to Chinese. Maximum speed limit of the instrument cluster have also been increased from 240 kph to 280 kph. 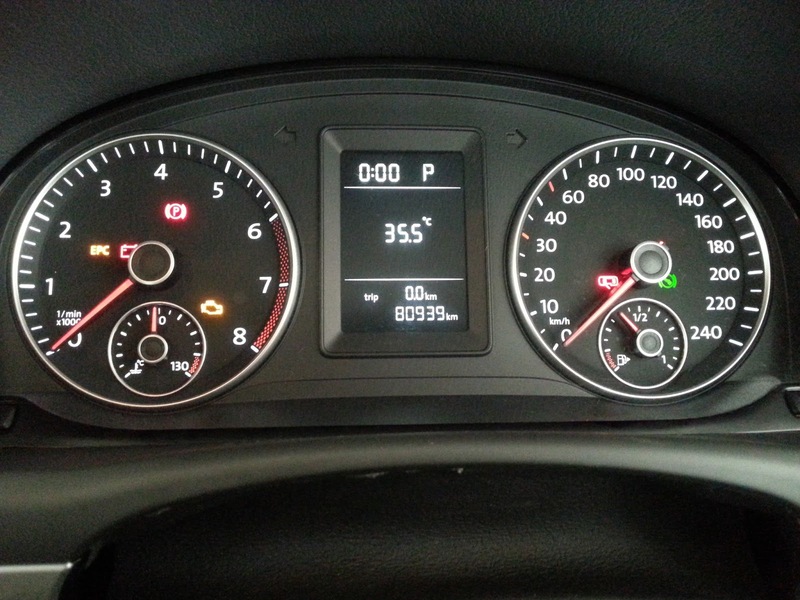 Staging of the needles during initial engine start up is also a default standard. The Red pointer needles are default but an option to have them as Blue is also available. 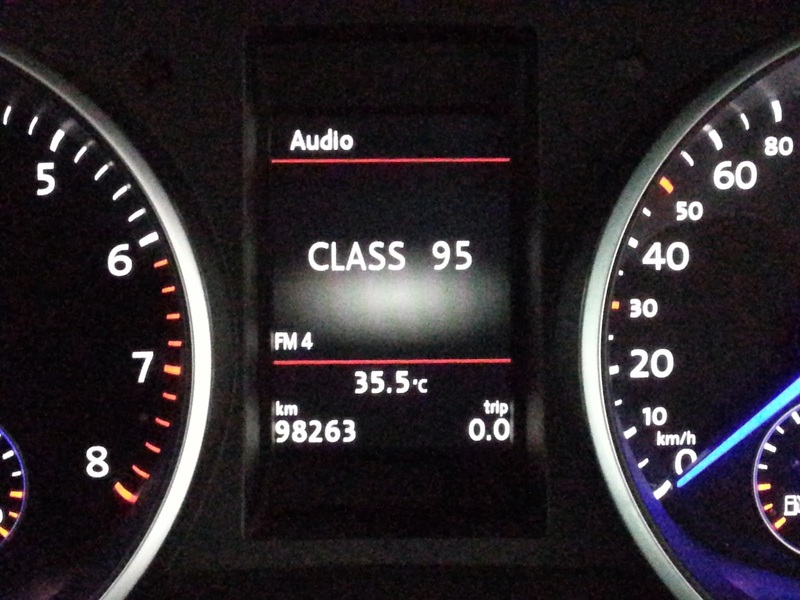 Finally, I got hold of the colour cluster for my Mark 5 GTI . 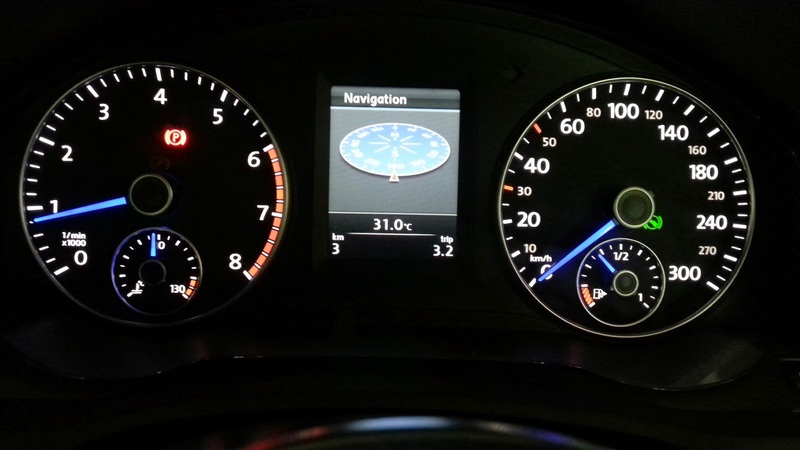 Replaced the boring red colour MFD with this Colour MFD cluster with Blue Pointers ! 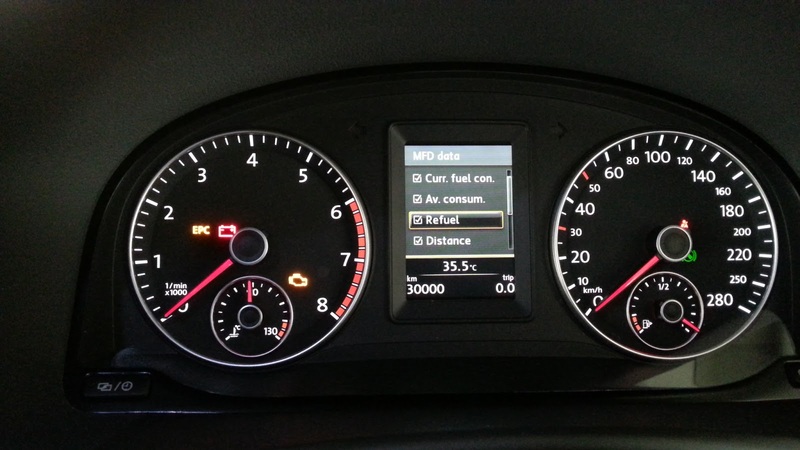 This can be done for all the Golf/Scirocco/Tiguan/Jetta models with IMMO inside the cluster. Process takes about two weeks from ordering. 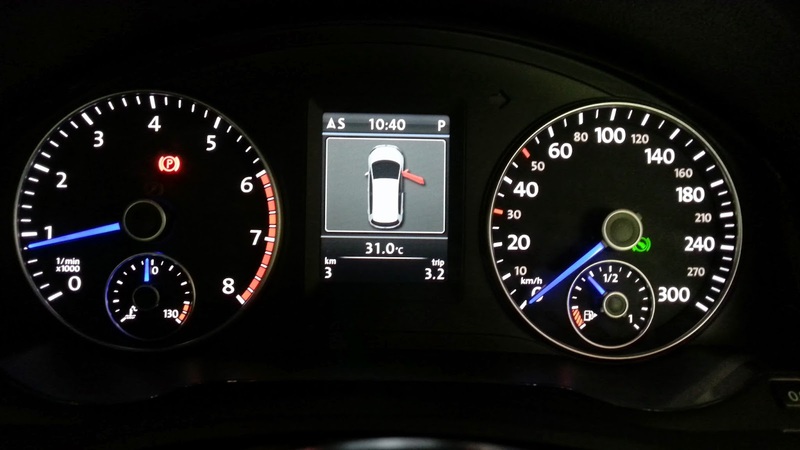 Vehicles with WHITE MFD can also be upgraded to the COLOUR MFD Cluster. 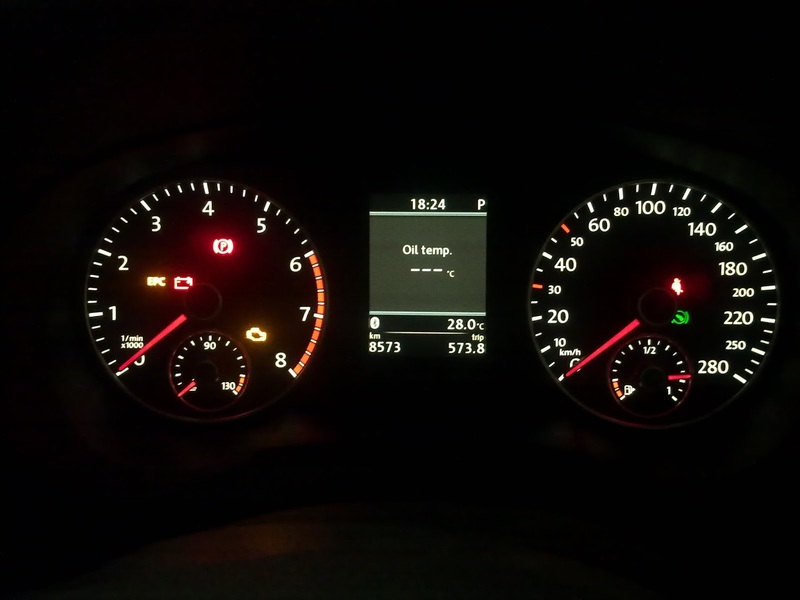 There is a trade off for the vehicles originally fitted with RED MFD, the Convenience Menu would not be displayed because of the different set up in the Central Electric Module. Those with WHITE MFD, would not have this issue. Nevertheless, we never or very seldom need to access the Convenience Menu on the MFD.